Note: Product Prices vary as per size and thickness of products, only approximately prices are available on website. 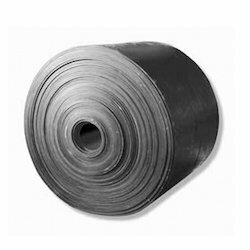 Neoprene Rubber Sheets used where temperature resistance, oil resistance, flame resistance is required. Applied to punch all kinds of oil seals, airproof fittings, washers, work table and ground contacted with oil & grease, pavement for electronic places and apply to punch the gasket with all kinds of shapes and cover on the mechanical equipments. CR or Chloroprene is a homopolymer of chloroprene or chlorobutadiene. No smell and good acid and alkali resistance, working in the liquid which contains 20% acid or alkali at the temperature of -30 ~ +80, in oil media ( engine oil, derv , petrol, lubricating oil), with sealing and swelling resistance character. Looking for Neoprene Rubber Sheets ?